Families need answers and sometimes they need help understanding what to do next. Most often families who have lost a loved one to violent crime or in a suspicious manner retain a private attorney who contacts LPA to retain services. These private attorneys often represent the victim and his or her family in Wrongful Death Lawsuits, especially in cases where criminal prosecutors refuse to prosecute the case for various reasons, so the case it take civilly. There are are the times when families and investigators disagree on findings in a case. That's where LPA can help resolve issues as a neutral party by objectively reviewing the case file information so everyone can move forward in a productive way. Not every case a family submits to LPA is a murder case. Some cases come to LPA for review because a family thinks their loved was murdered. Upon review, in cases like these, sometimes LPA finds these victims commit suicide, die in accidents, accidental overdoses, natural causes, or by unexplained circumstances. While it is very difficult for families to accept the death of any loved one in any way, finally having answers and being able to move on knowing their loved ones were not murdered brings tremendous relief. In these cases, LPA recommends the family do not pursue anything further with the case, LPA closes the case, LPA does not pursue the case, and LPA makes not comment on the case going forward. Maybe you don't agree with the ruling of Suicide? Maybe you don't believe your loved one killed him or herself, died in an accident, or you believe your loved one was just plain murdered, but no one will listen to you. 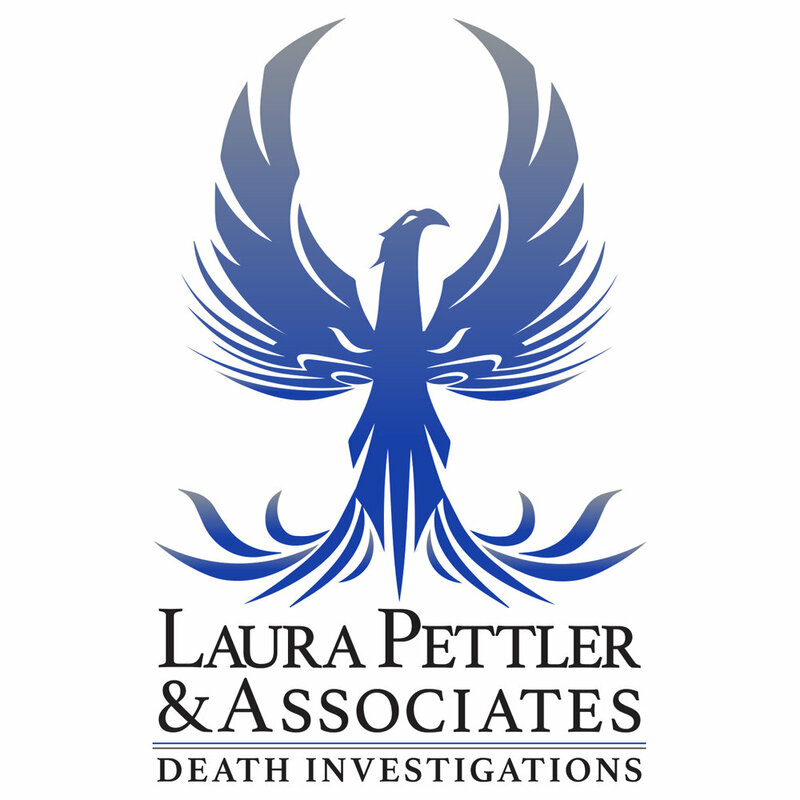 Using Pettler's Victim-Centered Death Investigation in the field, LPA conducts its own private, independent thorough Death Investigation centered on the victim. LPA is typically retained by a civil attorney in these cases on behalf of a family seeking to file a wrongful death claim, who have filed a wrongful death claim, or who are simply seeking answers in the death of their loved one. The police have shut them out. The DA's Office maybe too. The Coroner or ME maybe even too. We understand. Sometimes they shut us out too. LPA will get it done. We will find you answers. Working with Law Enforcement Agencies: Law enforcement agencies are notoriously restricted by low budgets and often need experts and resources to move cases forward. So LPA's elite Roundtable of Experts and their extensive resources can be retained by a family and invited by a law enforcement agency to partner, support, assist, and bring outside resources to the agency's investigative team towards case resolution. The family is responsible to pay LPA and the law enforcement invites LPA into the investigation as little or as much as they prefer. Towards protecting the integrity of the case, LPA disseminates information only to the investigating agency and never to the family of the victim. All case updates come from the investigating agency to the family under all circumstances. Case Review: There are always unanswered questions and lots of opinions in cases where a victim lost his or her life under suspicious or violent circumstances. LPA understands you want answers and you need evidence. In order to conduct a case review, families must submit the case file (i.e., law enforcement case reports, photos, autopsy reports, etc.). The goal of the Case Review process is to take the material to answer specific questions (objectives) identified by the family during the Intake Consultation Phone Call and for LPA to recommend options and next steps if the case warrants moving forward. Case Review is not Private Death Investigation. No investigation goes on in Case Review and as August 1, 2018, LPA no longer offers flat rate Case Review. All Case Review fees are billed at regular rates against the Client's retainer. Private Death Investigation is different from a Case Review. A private death investigation involves review of client-submitted materials, but then moves on to conducting background investigations, interviews, and it can involve crime scene reprocessing, reenactment, recreation, and/or reconstruction, surveillance, and other related services. It is best the family is represented by an attorney in this situation. Much of what LPA discovers often remains privileged information that can only be shared with law enforcement. Private Death Investigations fees are billed against the Client's retainer. Meetings with Agencies: In cases where new information warrants meeting requests with agencies, such as police, sheriff's, medical examiners, district attorneys, etc., LPA will send a letter or contact the agency and go from there. All Meetings with Agencies fees and expenses are billed against the Client's retainer. Families often need more information about their loved one’s case in order to move forward with a case review. Some of the links below might be helpful in learning more about Public Records laws in your state and how to draft letters to agencies for requesting the information you’re seeking. LPA cannot offer and does not offer legal advice, for such, you must seek out your own attorney. If you retain an attorney, LPA is happy to work in partnership with your attorney on your case. What kind of cases does LPA review and/or work? We are a forensic criminology based company that provides a new perspective on your case from crime scene to courtroom. We are retained primarily in domestic violence homicides, cold case homicides of all kinds, missing persons, and assault cases occasionally. Money is a challenge for us right now, but an LPA still help us anyway? Absolutely. We cannot imagine how difficult things could be when losing a loved one tragically, but understand very well many of the hurdles the investigating agency faces in order to move them forward...money is often at the top of the list. To quell this situation, LPA offers an affordable Case Review Flat Rate for Families and a payment plan that meet almost any budget. We are here to provide a thorough review of the case, to help investigators cut through the white noise, and assist them in moving the case forward. What can I do to get LPA involved with the law enforcement agency investigating my loved one's death? Please contact the law enforcement professional handling your case and provide our website and contact information. We welcome the law enforcement agency handling your loved one's case to take advantage of LPA's FREE Case Consultation for Law Enforcement to learn more about how we can assist investigators and the affordable payment plans LPA offers. Who retains and pays LPA for service? Law enforcement agencies, attorneys, coroners, among other professionals are Clients of LPA and the families of murdered or missing loved ones who pay for LPA's independent Case Review towards helping the law enforcement agency charged with the duty of investigating the case are "Parties Responsible for Payment" to LPA. In the best interest of the case, Case Review Results will only be shared and/or disseminated LPA Clients.